The striking feature of this bath salt is it's fragrance of rose and lavender. This natural bath salt contains dried rose petals, epsom salt, milk powder, rose oil and lavender essential oil. The Egyptian queen Cleopatra is known for her beauty and flawless skin. It is believed that her beauty regime consisted of the treatment milk baths. The natural lactic acid found in milk in the form of alpha-hydroxy-acid helps in skin rejuvenation.This acid gently dissolves proteins to exfoliate, detan and reveal a younger, tender skin from underneath. Showering with milk water has been quiet popular for centuries. Milk is a natural moisturizer. It helps in hydrating and softening the skin. Fuschia the brand that promises chemical free and natural products came up with ‘Fuschia Cleopatra’s Secret Milk Bath’. The striking feature of this bath salt is it’s fragrance of rose and lavender. This natural bath salt contains dried rose petals, epsom salt, milk powder, rose oil and lavender essential oil. It is very easy to use the product. You just need to add a capful to a bucket of water or mix it in a warm tub full of water. 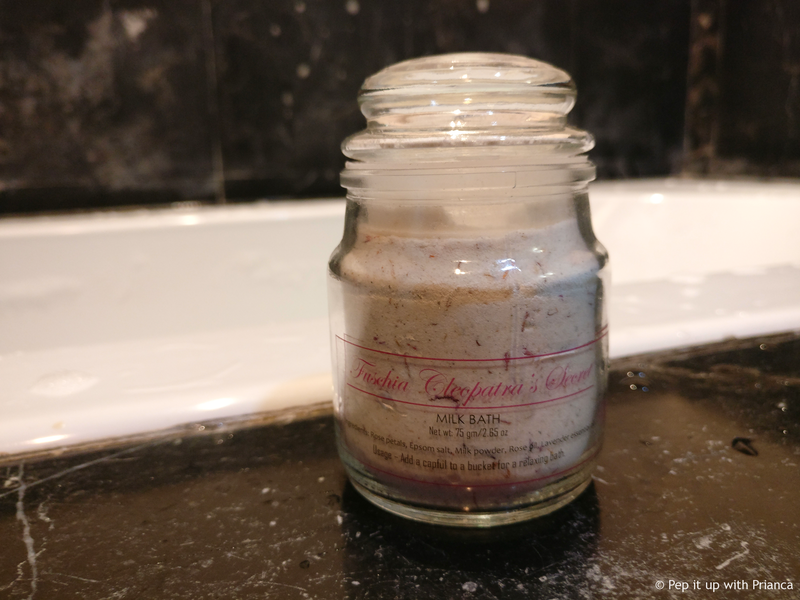 Fuschia Cleopatra’s Milk Bath easily dissolves with no lather. The presence of milk extract in Fuschia Cleopatra’s Milk Bath will leave your skin de-tanned, moisturized and soft. Milk is rich in vitamins E and minerals like zinc, which help in de-accelerate the process of aging and helps retain the natural skin elasticity. Say goodbye to stretchy, itchy skin with Fuschia Cleopatra’s Milk Bath. The rose and lavender essential oils will stimulate blood circulation which will help you relax your senses. The PR for Fuschia is managed by SpotLYK Media.